Yard sale season is here and is in full swing. 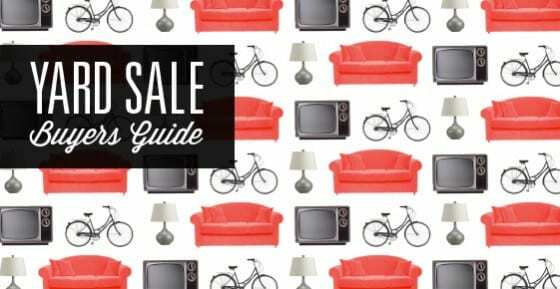 Whether you just want to go out and have fun searching for bargains, or you want to save lots of money by buying slightly loved stuff for much less money, or you want to buy low and sell high to make a profit, the Yard Sale Buyer’s Guide is chock-full of information that will help you out. What Kind of Yard Sale Shopper Are You? Casual Shoppers: The folks who go out on a Saturday morning, “just for fun.” They stroll throughout a yard sale, sipping lattes and chatting with friends while looking at “cute” stuff. Money Savers: People who enjoy getting a good deal on things for which they would normally pay full price. They are more focused than the casual shoppers and take the whole thing much more seriously. Money Makers: You don’t want to find yourself blocking the path of these hard-core yard sale shoppers—they’ll trample right over you without a second thought in order to get to that Limited Edition Beanie Baby before you hand it to your sticky-fingered toddler. They are investors—buying low and selling high. For the purely casual shoppers: You can check out some of our tips on finding sales and negotiating, but really, as long as you’re having fun, that’s all that matters. 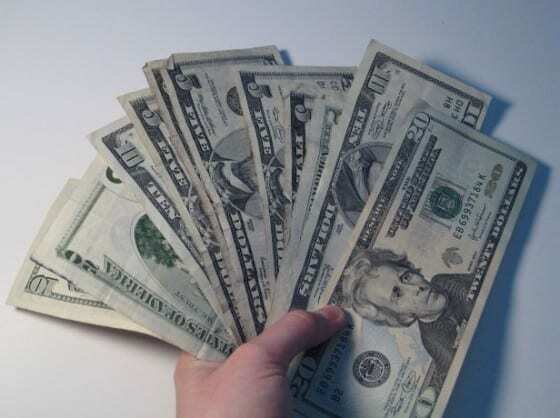 If you’re a money saver, or a money maker…read on. Patronizing yard sales during the summer months can save you tons of money throughout the year, and can even help you earn money. Think of all the things you use throughout the year that could be purchased at a yard sale instead of at the mall: sports equipment, clothing, household items, holiday decorations. The secret is foresight and advanced planning. And, if the item is one you’d spend over $100 on if you bought it new, you’ll want to do some research. It’s helpful to have a list of items you’d like to find at yard sales. Depending on the length of your list, you can carry it with you in your car or purse, or just in your head. For some items, such as the snowshoes I bought last year (read on for my example), you’ll have all summer to keep an eye out. For others, you’ll look for just one weekend or so, and if you don’t find the item you’ll buy it new. Here’s a huge yard sale secret that most of the people out there don’t know or think about: off-season gear, clothing and decorations is probably the absolutely best thing to buy at a yard sale. Why? Because no one wants it. It’s hard to think about winter stuff when it’s 95 degrees and sunny. If you can identify what you might want to buy in the winter, now—during yard sale season—you stand to get some really great stuff for really, really cheap. I live in Utah, where the mountain recreation is plentiful and the snow is powdery and splendid. I love to go snowshoeing and I wanted my own pair of snowshoes so I wouldn’t have to stand in those long rental lines at REI every weekend. 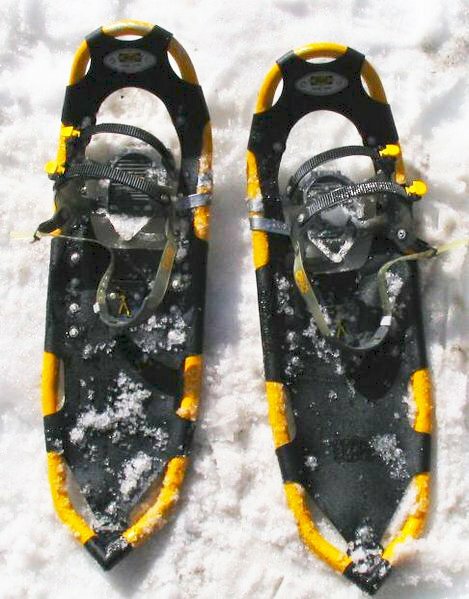 But snowshoes are not inexpensive, and I knew I would probably only use them 4 or 5 times a year. I learned that, for very powdery snow, I want a large deck. I learned about bindings, traction and heel lifts. I looked at the various models that REI sales and decided that what I would want to purchase would cost somewhere around $150. I also discovered that the two main brands that REI carries are Tubbs and Atlas. REI has several locations around the Salt Lake Valley, and people who buy snowshoes would be likely to purchase there, so I knew that I could look for those two brands. I put “Snowshoes” on my yard sale list and kept them in the back of my mind when I went out shopping on a Saturday morning. I’m not super hard-core yard sale buyer, but if I stumble upon a sale and I have a few minutes, I stop in to look at the deals. At the end of June last year, I stopped in at a yard sale in a neighborhood near the base of a canyon. The people were moving to another part of the country and they had a lot of cool stuff. Sitting in a corner of the yard, propped up against a tree, was a dusty pair of snowshoes. I brushed the cobwebs off of them and saw that they were Atlas brand shoes with some of the features of the more expensive models. They were in perfect condition. I asked the owner how much she wanted for them and she seemed surprised that I was even interested; they’d been sitting there all day. “How about $30?” she asked. To which I replied, “Well, I have $25…” Sold. I got them home and found that they were about two years old and had originally sold for over $230. This was not a huge surprise to me, since I’d done the research. Had I waited until November to buy the snowshoes I wanted, I would have paid at least $150.00. Instead, I got two pairs of snowshoes and enough cash to pay for the gas to get me up the canyon for the 3-5 times I’d go during the winter. You might not want snowshoes. But what do you want? Think now about what you’d like to have and make a list. Do a little bit of research so you know what you’re looking at when you’re at a yard sale, then get out there and find amazing bargains. The above example shows what you can do when you do a little bit of research and are thinking about buying stuff in order to sell it later. 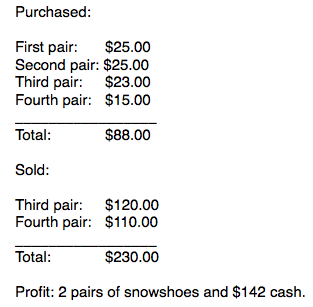 Though I originally hadn’t intended to buy snowshoes to sell them later, once I knew a little bit about them, I was able to see the potential profit very quickly. And to my surprise, there were a lot of snowshoes out there at yard sales. They’re the kind of purchase people make, thinking they’ll use them a lot, but then they don’t. So when they clean out the garage, or move, they get rid of them. If your sole intent is to buy low at yard sales and sell high on eBay on through your local online classifieds, it’s wise to become a specialist of some sort. It’s impossible to have thorough knowledge of everything, and buying the wrong items is just a waste of your time and money. Choose a field in which you’re already interested. It might be outdoor gear, or books or antique furniture or something else… the great thing about yard sales is that they offer a huge variety of merchandise. The first challenge for any serious yard sale shopper is to find yard sales and plan a route that maximizes efficiency to save both time and gas. The best stuff at yard sales goes fast, so the earlier you get there, the better your chance of scoring some great deals. As you approach the sale, start watching for yard sale signs. 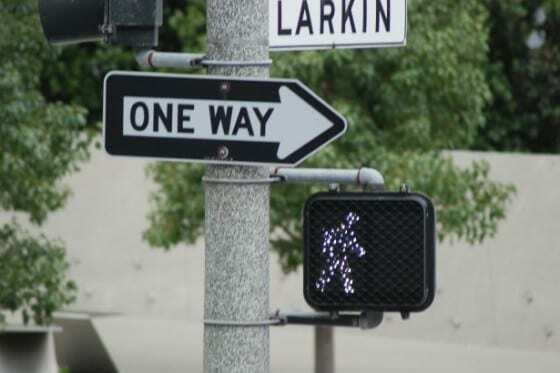 Hopefully the seller has designed readable, sturdy signs that share the same color scheme so that you can easily follow them right to the house. 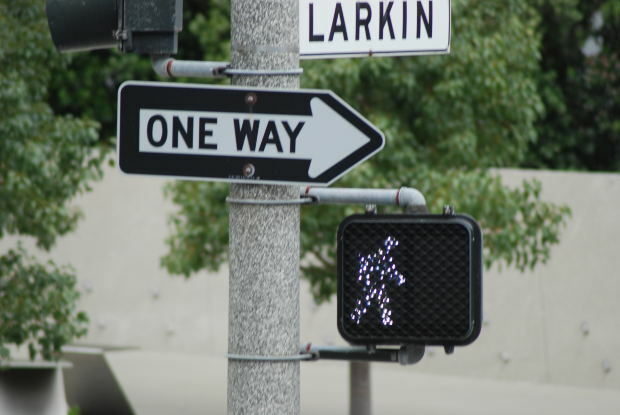 Having a designated “sign seeker” along for the ride helps, too—his or her job involves watching for the right signs and directing the driver where to turn. In the most basic sense, when you see an item at a yard sale, and you consider it treasure… it is. Sometimes you’ll see something that just grabs you: a unique piece of art, or a cute lamp or an interesting book. You don’t need the item, but there it is and you suddenly want it. This is how the majority of yard sale items get sold on a typical Saturday morning—it’s all about the impulse buy. There’s certainly no problem with snatching up cool stuff when you see it. As long as you keep it in check—we don’t want to see you on an episode of Hoarders next year. Other times, you’ll find something that’s on your list. You know exactly what you’re looking at, because you’ve done the research ahead of time, such as with my snowshoe example. 1) Try negotiating every time. If you’re not accustomed to the process, you can feel embarrassed to offer someone less than they’re asking. Don’t. The people hosting the yard sale expect it (or quickly come to expect it once they’ve had a bunch of people negotiate with them). 2) Go in low, but not too low. The trick is to get the item for less, not to offend the seller. For instance, you might offer $17-$20 on an item with an asking price of $25—you probably wouldn’t try to offer $10. 3) Combine more than one item for a better deal. Offer one lower price for all of the things you’re buying; sellers are more willing to make you a deal when you’re helping them get rid of more stuff at once. 4) Have cash at hand. Get the amount of cash your offering out and have it visible. But don’t get out more than you’re offering, or the seller will assume you’re ready to spend the whole amount! Shopping at yard sales is a vastly different experience than going to the mall. You’ll meet your neighbors, find some unique items, get some great deals. Team up with a friend or two and make a morning of it: stop for coffee, listen to morning weekend radio, buy cookies from the enterprising kids you see at various sales. Speaking of kids… if you’re bringing yours, be prepared. Pack up everything you’d bring for a long road trip: snacks, drinks and entertainment. Give older kids a small amount of cash so that they can look for their own treasures. Never leave your kids in the car while you shop at a sale—not only can they get into trouble while unattended, if the weather is warm the car can quickly reach dangerous temperatures. Are you a yard sale shopping veteran? Share your tips with us here!